Ready, set, action! Beginning readers will get some great practise identifying the action verbs in each of these sentences. Action verbs bring writing to life! After examining different action verbs, students put them to use when writing their own stories about recess. Spring into action with some verb practise! Learn how to identify action verbs in each of these sample sentences. Spring into action with some verb practise! 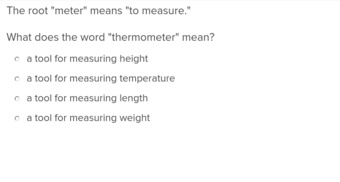 Learn how to identify multiple action verbs in each of these sample sentences. Take action with grammar practise! Beginning readers will get to practise identifying multiple action verbs in each of these sentences. 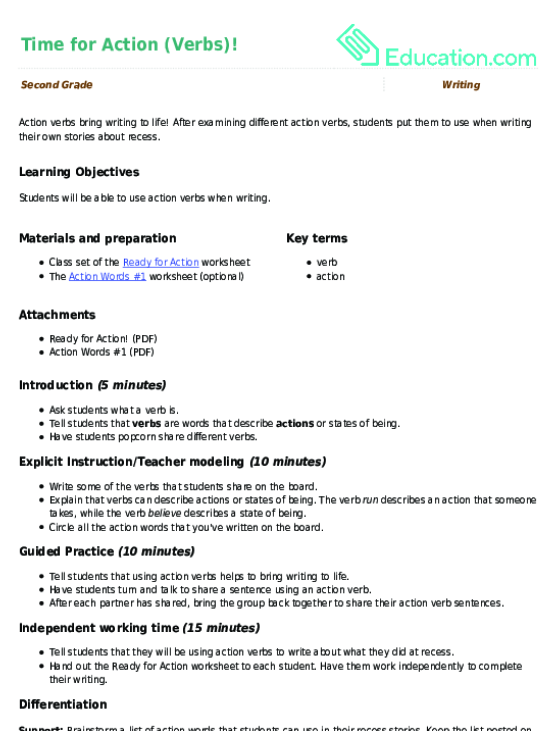 Take action with grammar practise! Beginning readers will get some great practise identifying the action verbs in each of these sentences. Jump, jive and jolt into action with some verb practise! Learn how to identify action verbs in each of these sample sentences. 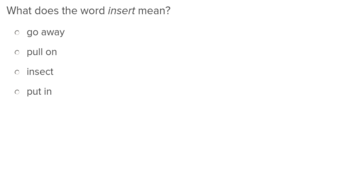 Which words show action in a sentence? Verbs do! 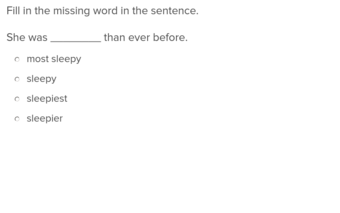 Help your budding reader to identify the action verbs in these sample sentences. Can you spot the action words in each sentence? Help your little reader practise identifying parts of speech with this action verb exercise. How many action words can you spot in each sentence? Help your little reader practise identifying parts of speech with this action verb exercise. Lights, camera, action (verbs)! After examining different action verbs, students put them to use when writing their own movie scenes. 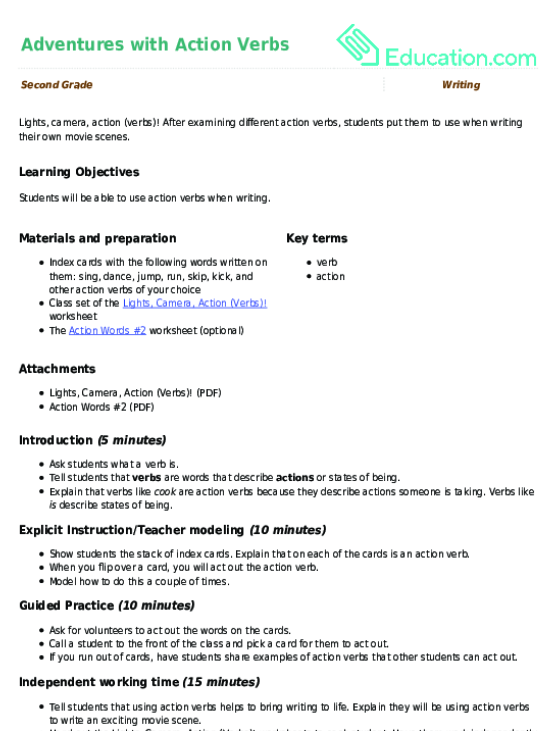 This worksheet is action-packed! Help your budding reader to identify the action verbs in these sample sentences, a great way to build her grammar skills.